Our eBook discussing the issue of Performance Management of Employees. Why do we do it? Maybe the question is “why should we do it”. There is a lot of negative publicity out there about performance management. It seems that very few people enjoy the process and maybe that is attributable to the idea that the process is punitive. Link the performance review to pay or to disciplinary action and it can quickly be seen as a stick rather than a carrot. It is time to look at performance management as an investment. Time spent considering what the business needs its employees to be doing has got to be money well spent. An employee who knows the job performance expectation is more likely to be more focused on achieving it. Add to this the opportunity to discuss and agree on the really important parts of the job and you have answered the WHY question. It is return on investment! 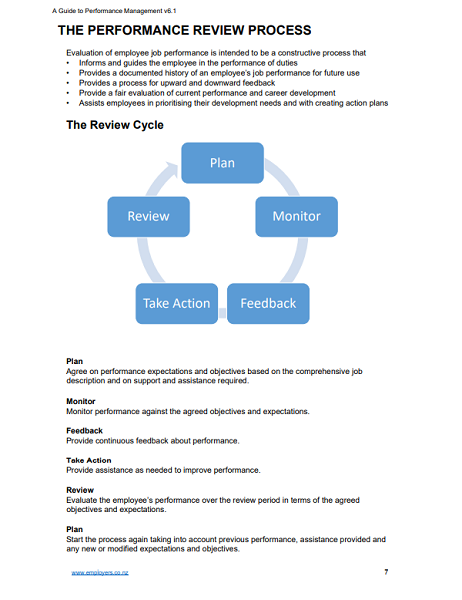 As with most management practices a process is needed and this guide is here to help you. 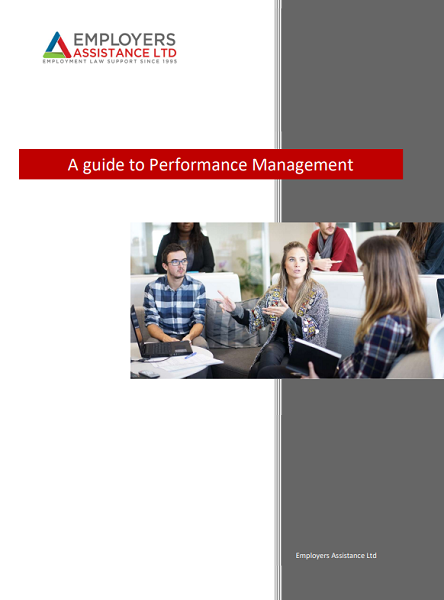 The guide describes the framework for performance management and then provides practical steps to take you through it. Advice on how to prepare for and run a review meeting, plan for improvement, deal with ‘difficult’ issues and to record the discussion. Sample forms are included to provide structure to the process and to provide a record of discussions and agreed actions. 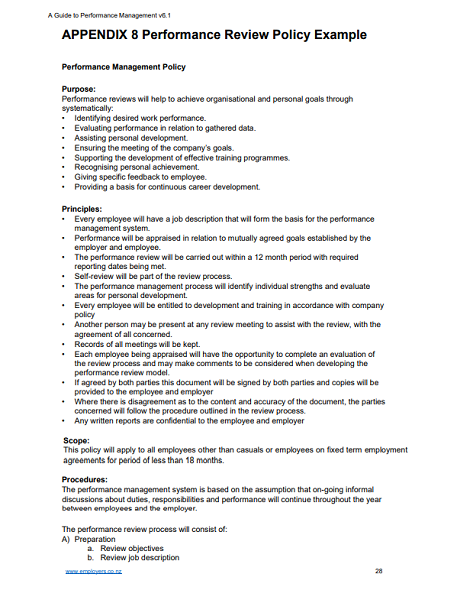 Practical help on how to write performance goals and build employee capability are included. The forms pack provides template type documents to adapt and use in your business. "..I need to focus on running my business. I can rely on Employers Assistance to guide me through HR problems when they occur.."